Last week I went to a memorial service in New York for David Foster Wallace, a writer whose absence still makes my stomach drop this many weeks later. The drop is different (more bearable, less uniformly grim) than it was when first jilted with the news of his suicide out of nowhere, but it's still a drop–as it clearly was for the friends and colleagues of Wallace's who spoke at the NYU Skirball Center For The Performing Arts last Thursday. 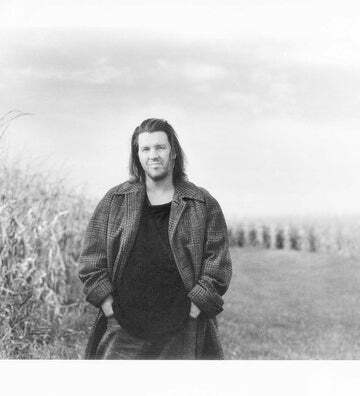 Longtime friend and fellow novelist Mark Costello started with a stirring remembrance of DFW in college, a weird kid from Illinois whose corn-town mien played as strange and inviting in the tidy world that attended Amherst in western Massachusetts. It was an effort, in part, to put people around him at ease, to temper the intimidation he knew could accompany his extraordinary intellect. That persona of the Midwestern guy who could never quite understand, Costello said, "was as essential to what he did in his expeditionary non-fiction as 'The Tramp' was to Charlie Chaplin." Costello cried as he wrapped up, as did all but two or three of the 12 speakers there. Sister Amy Wallace Havens was both funny ("you could forget winning an argument with him…ever") and heartbreaking for the way she was clearly still devastated and even channeling him with her ace use of adverbs. What she read sounded like her brother, or at least like a family resemblance of him, and there was something much more than a fan's readerly distance at play when she said, "If he was a genius, it was because he was smart enough to be curious about everything." Michael Pietsch from Little, Brown read from his own correspondence with DFW during the editing of Infinite Jest, most of which included polite, funny, and ruthlessly persuasive reasoning for why certain cuts, while understandable and maybe even advisable, would count as not only detrimental to the book but also something close to cruel. Don DeLillo read a short reaction to DFW's work that I honestly had a hard time following, so disarmed was I to be laying eyes on DeLillo for the first time. He talked a lot about Everything And More: A Compact History Of Infinity, which I liked, and included a stirring riff on ways that DFW's sentences "shoot rays of energy in seven different directions." George Saunders talked about how DFW helped him become a more honest person and classed him as "a great American Buddihist writer," along with Walt Whitman and Allen Ginsberg. Jonathan Franzen was frank and unflinching about the final few months of DFW's life. Apparently Wallace had decided to go off his medication in an effort to live a more normal life less wracked by nerves and more attuned to what he'd found fulfilling with his wife. Franzen said he'd become notably more social and easy to be around. After his health fell out, though, he kept asking Franzen to convince him he'd be able to write again, which he apparently hadn't for a good while. It was hard to imagine to David Foster Wallace needing to hear that.